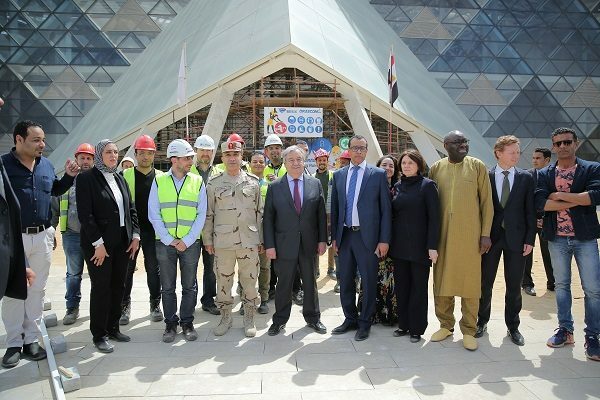 To celebrate its centennial anniversary and 60 years in Africa and Egypt, the International Labour Organisation (ILO) has gifted 100 saplings to the Grand Egyptian Museum (GEM) on the Pyramids Plateau in Giza. The saplings will be planted by Eric Oechslin, the acting director of IOL’s office in Cairo, together with Egypt’s Antiquities Minister, Khaled al-Anany; and Labour and Man Power Minister Muhammad Saafan during a mega celebration on 11 April, during which they will tour the museum including the Tutankhamun hall, under guidance of Atef Muftah, supervisor of the GEM project. According to Mr Anany, the celebration will be covered in 24 countries in four continents. The event coincides with the date in 1919 when the Paris Peace Conference convened after World War I had ended, and the victorious Allied Powers set the peace terms for the defeated Central Powers; the outcome was the Treaty of Versailles. 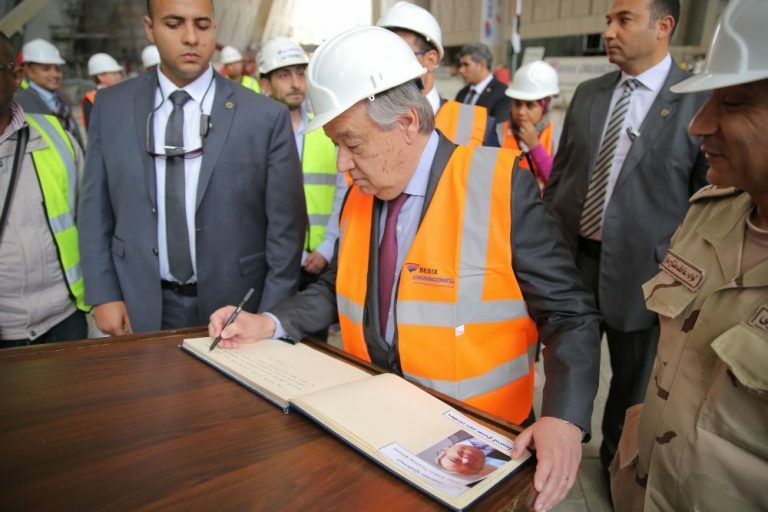 Last week, the GEM hosted UN Secretary-General, António Guterres who was on a two-day visit to Cairo. He was treated to a guided tour of the museum and the parts that are still under construction. GEM is scheduled to open in 2020. Its foundation stone was laid by President Hosni Mubarak in 2002. 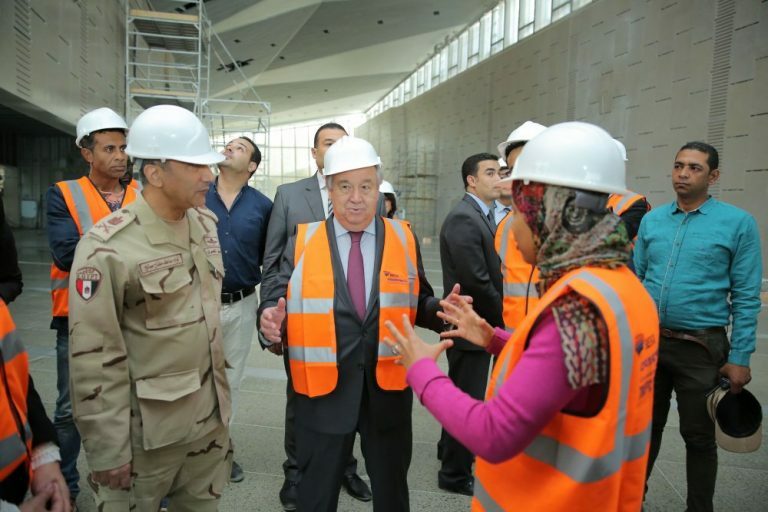 Described as the largest archaeologist museum in the world, the museum is being built on 120 acres of land some two kilometres from the Giza pyramids and is part of a new master plan for the plateau. In 2007, USD300 million loan was secured from Japan to build the GEM, Egypt’s government is funding it with USD147 million; the remaining USD150 million are funded through donations and international organisations. 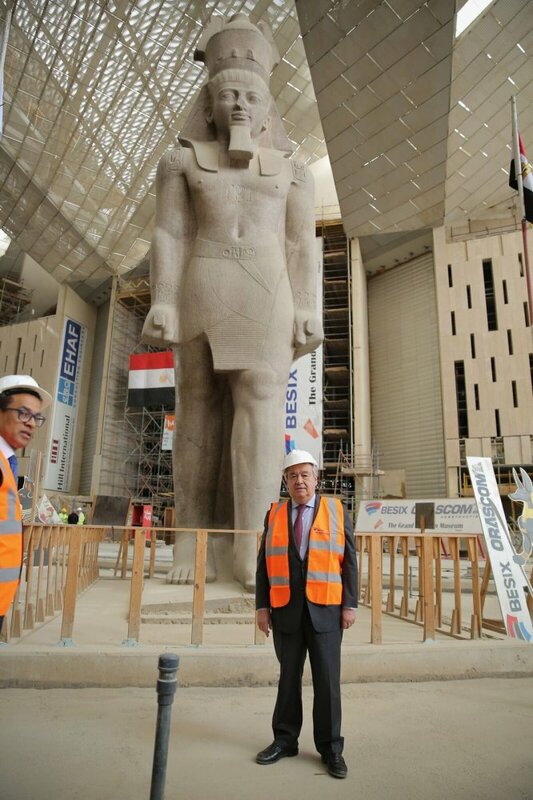 The 3,200 year old Statue of Ramses II which once stood in a main Cairo Square before it was moved in 2006 to the GEM, will occupy a a centrepiece position with the museum building surrounding it.